ScanPro proudly holds a zero incident safety record. Our approach to managing effective health and safety is essential to our daily operations. ScanPro currently use very skilled, licensed sub contractors to perform our UAV work. ScanPro is in the process of acquiring its own UOC, (Unmanned Operators Certificate), issued by CASA, Australia’s Civil Aviation Safety Authority. ScanPro follows a complete OHSMS, (Occupational Health Safe Management System), designed to meet all the requirements of AS4801. We have conducted work on many different sites and many site inductions over the years and continually upgrade our safety requirements. All of our field operators are continually being trained to work and perform in challenging environments. ScanPro has a broad range of experience and conduct work in various industries. We have worked on large scale construction sites, inspections in front of live switchboards, carried out unmanned aerial operations and performed thermal imaging inspections on high voltage networks. We are proud to say that through diligence and planning we remain incident free. We always conduct our work with safety as the main priority. ScanPro is focused on maintaining the safest operating practices within every aspect of our work. We are cautious to keep the general public who live and work around areas where we conduct our operations safe and harm free. ScanPro has a proactive approach on continually building safe systems of work to mitigate any risk associated around our operations and we are open to work together with our competitors and associations to help build a better safer UAV service industry. 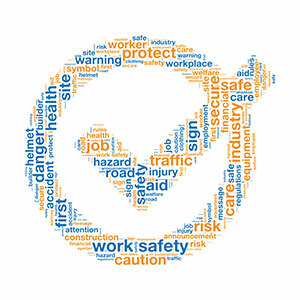 We continuously monitor and maintain our worksite procedures to be sure that zero harm is a core focus on every job. We are proud of our flawless safety track record and continue to develop and maintain the safest work environments possible. ScanPro utilises a detailed Safety Management System produced by The Master Electricians Association, covering all areas of AS4801. As MEA members we can access safety, consultation documentation and advice 24 hours a day, which our clients benefit from by extension. ScanPro is in the process of acquiring ISO certification for Safety, Environmental Management and Quality Assurance. We hope to obtain ISO 9001:2004, ISO 14001:2008 and AS/NZS 4800:2001 Certification before the end of 2016. We are always conscious of how our services impact the environment, both at work sites that we attend and in the office environment. Through our commitment to compliance we have ensured that our services meet Australian standards and customer expectations.